Creating a collage on the iPad has its benefits. You have thousands of images at your fingertips to use in the creation of a collage. 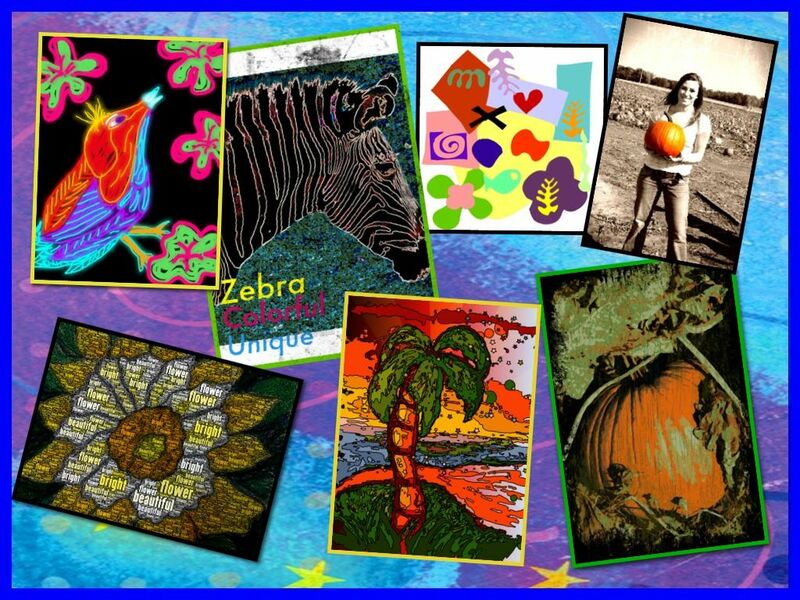 Collages could be created in many photo editing and painting applications. This would involve finding or creating images and putting them together in the app. Lots of creative elements could be added and manipulated this way. There are some apps that help to create a collage on the iPad even easier. The first app on this page is one that students love to use to create fun and innovative portrait collages. Faces iMake Lite is a super deal at $.99. This extremely fun app for students and adults alike is a great way to use everyday items to create a collage face. You start by choosing a face shape and then pick from hundred of unique items to create features of a portrait. This would be another great cooperative project for students to use. Each student could work on a different element of the face. Photo Wall Lite is a free app that lets you create nice looking photo collages. Background, photos, words, and other items can be put together in a creative, artistic way. This would be a great way for students to create a presentation poster of their own artwork. This would help teach design and composition.